Preheat oven to 200 degrees. Wash and dry your figs. Prepare them by slicing an X at the top but be careful to not slice them all the way down. 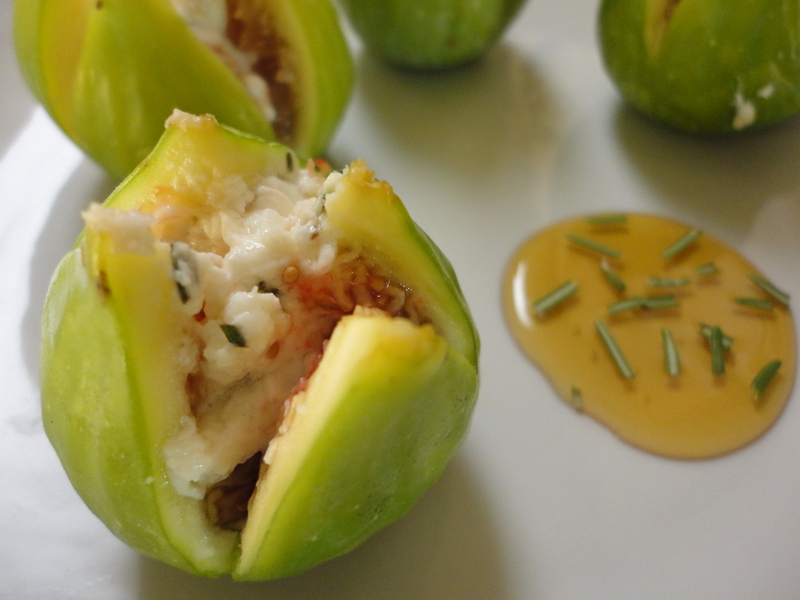 Pace your figs on an oven safe dish or baking sheet. Place your goat cheese in a small bowl and mix with your chopped goat cheese. 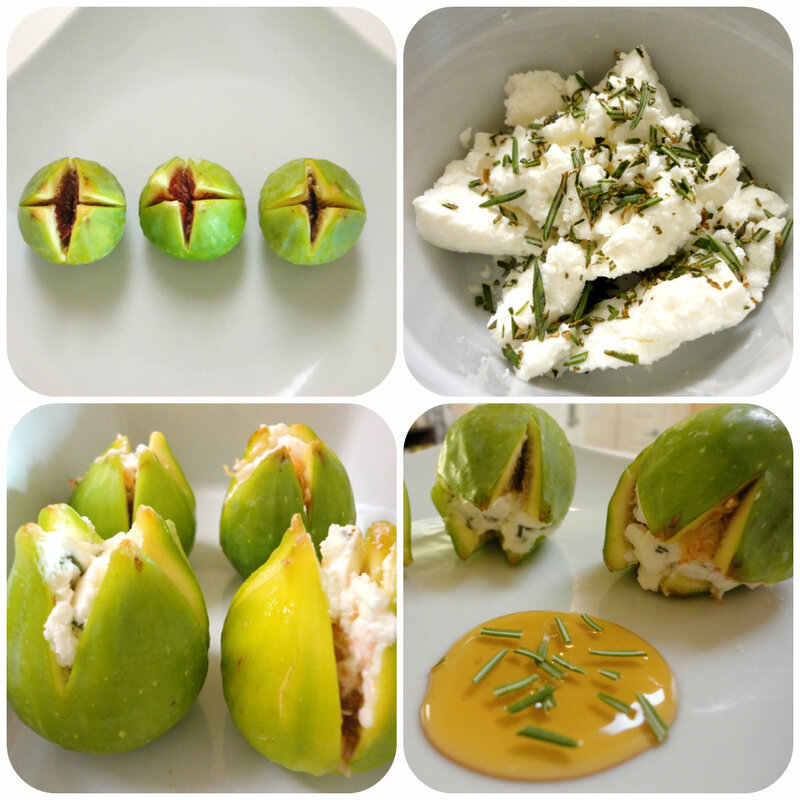 Using a spoon or small cheese knife, stuff the rosemary infused goat cheese into the fig pockets. Bake for 15-20 minutes. Drizzle honey over warmed figs or to the side and sprinkle chopped rosemary as a garnish.